A Winnipeg based company, established in 2000, offering residential, commercial & public landscape design by utilizing the latest 3D technology. See your Landscape project from every possible view point & visualize how the project will look before a shovel hits the ground. Watson Designs can also manage the construction process through to completion & beyond. It's what's on the outside that counts. Transforming your underused spaces—yards, balconies, school grounds, building exteriors, you name it—into welcoming, beautiful, food-producing systems that are environmentally sensitive, sustainable and organic! Whether you are looking to freshen up and rejuvenate your existing landscape or perhaps undertake a project for your new property, you are exactly where you need to be! Our experienced team of professionals will be pleased to assist with the design and installation aspects of your landscape project; from the initial consultation right through to completion. 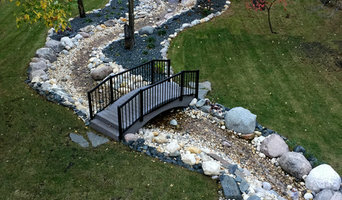 Prelude Landscaping is Winnipeg, Manitoba’s leader in Landscaping production. A few of our services include: complete landscape installation, interlocking driveways, stone patios and fire pits. Visit the services page to get a better understanding of the services we provide. If you have any questions please go to our contact page and fill out the form so we can get back to you on your project. 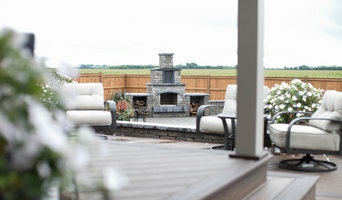 Prelude Landscaping takes great pride in the design and development when creating your beautiful out door living space. Our attention to detail and quality workmanship is the key to our companies pride. Prelude landscaping has a passion for creating exciting and easy to maintain outdoor living spaces. They add curb appeal and are based on the customers ideas and budget. The front yard is a direct extension of the home which makes the first impression and increases the value of your home by up to 20%. Our ultimate goal is to provide customer satisfaction and peace of mind. At Zimmer Landscaping, we are committed to industry-leading installations and customer satisfaction. We focus on designs built for your family’s future, exercising careful attention to detail, drainage and design. With Pyramid Rock Gardening you can create your backyard to look natural and aesthetically-appealing. We have been in business since 1989, we produced dozens of colors mined out of our own locations here in Manitoba. Some of the strongest stone in North America. Our MICA and RAINBOW rock will last thousand years, making it one of the most recyclable products. We hand cut all of our products making us a 96% green company. We are a Winnipeg based landscaping company that is passionate about providing you with the most professional landscaping experience possible. We pride ourselves on exceeding our customers expectations throughout the entire process. We hope you spend some time checking out all the different section’s of our site, especially our videos, Photo Gallery and articles. Come on in and experience VANGILS Landscape Design & Construction for yourself - Be sure to book a free personal consult with Paul van Gils, who can help you see your yard with an exciting new perspective of opportunities. Welcome to Green Prairie Landscaping. We have been serving our customers in Winnipeg, MB. since 1989. Chuck’s Garden Centre is your local Winnipeg Landscaper located right near Chief Peguis Trail. We are a full-service landscaping design and build company with 47 years experience. We provide services for all phases of your landscaping projects from the design to the installation. We are dedicated to meeting the growing needs of our Winnipeg community through efficient and cost-effective methods. 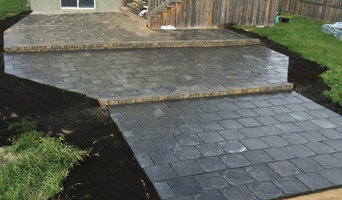 Kindret Landscaping is an award winning full-service landscape construction firm specializing in the design/build/maintain aspect of commercial and residential landscaping in Winnipeg, MB. As “Certified Landscape Professionals” we focus on our customers’ needs and use our educational backgrounds and expertise to provide value to our clients. This results in the functionality, enhanced curb appeal and increased property values. Our experienced team will create/execute plans and work schedules professionally and safely. If you, your company, agency is interested in having your property or next project managed by a professional landscaping firm please contact us. Green Brothers has varied experience in project both large and small. Green Brothers Inc. is the leader in residential installs. Also, Green Brothers Inc. is trusted by the Government of Canada, the Provincial Government of Manitoba and the City of Winnipeg to carryout its large projects with intricate designs and tight budget projects. Professional landscaping anchors a house to the site, connects it with the environment and creates a welcoming entrance to a home. 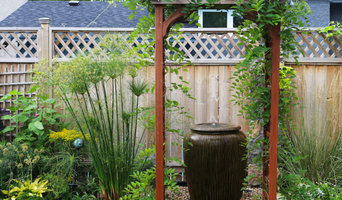 A Winnipeg landscape architect or designer works with living plants as well as building materials to design for future growth and maintenance as well as the present visual appeal. Landscape architecture is very regional, so look for a landscape designer in Winnipeg, MB that’s familiar with the local climate and plant types that do well there. Start here to learn more about the landscaping services in Winnipeg, MB that will help create your dream garden. The work of this outdoor professional includes most everything surrounding a home's exterior. A landscaping architect can even work with the home architect to choose the right spot for your Winnipeg, MB house. From there the Winnipeg landscaper will develop preliminary concepts for your front or backyard design based on individual needs including the climate and activities that will take place, as well as layouts and planting plans. Landscape architects will also design any structures or outbuildings that will be added to the space. Any grading changes that will be added to the yard are also the responsibility of the architect. This includes any drainage modifications. An engineer can also be responsible for these tasks, but licensed Manitoba landscapers are fully capable. Like building architects, they will produce preliminary concept drawings as well as detailed construction documents and planting plans. Three-dimensional renderings and illustrative plans are all supplementary. A Winnipeg landscaping designer generally will have ecological, aesthetic and technical training, which helps them maximize the potential of your outdoor space. Keeping in mind both style and functionality, garden designers analyze your architecture and yard to produce a plan that may or may not include location and materials for walkways, patios, water features, fences, garden aspects and more. In addition, a landscaper in Winnipeg, MB will carefully assess your geographic region to choose plants, trees and flowers that will flourish naturally, as well as address concerns such as drainage, screening and soil conditions. Certain landscape designers only help with the planning portion, while some may deliver the plans and then oversee a hired landscaping contractor. Others — typically following a design-build approach — take care of both the design and all aspects of the landscape architecture and construction. Before you hire a Manitoba professional landscaper, consider the scope and emphasis of your outdoor project. Landscape architects, who typically hold advanced degrees in their field, are trained to develop comprehensive structural plans that include plants, hardscaping, water use, drainage and more. Landscape designers typically specialize in the aesthetic and horticultural, rather than structural, side of yard and garden planning. They might or might not have advanced training. Even within their fields, a garden designer may specialize in hardscape- or vegetation-focused designs. In some cases you might need to hire additional help to get the outdoor space you want. Here are some related professionals and vendors to complement the work of landscape architects & landscape designers: Landscape Contractors, Garden & Landscape Supplies, Tree Services, Gardeners, Lawn Care & Sprinklers, Decks, Patios & Outdoor Enclosures. Find a Winnipeg landscape architect on Houzz. 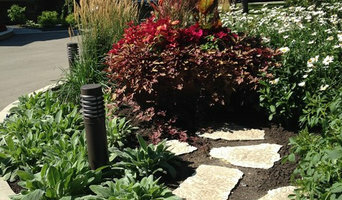 Narrow your search in the Professionals section of the website to Winnipeg, MB landscape architects and designers. You can also look through Winnipeg, MB photos to find a space you like, then contact the professional who posted the photo.